Office removals differ greatly from other forms of relocation you might have experience with. You should not underestimate the complexity and responsibility that come with such a task and that is the reason why you should hire a moving company you can rely on completely to carry out your office removal in Charlton according to all the highest standards of the trade. We are such a company and we are always here for you and your employees. We will move your office in a hassle-free manner, and we will do it fast and safe. You will be able to continue your work the very moment we are finished with ours, so that your business, employees and clients would not have to suffer from disruption in the proper operation of your company. 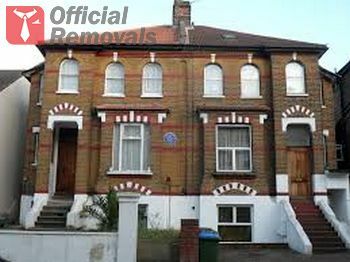 When it comes to Charlton office removals there is hardly a better contractor to turn to than us. We have a team of specialists who have dedicated their careers to mastering the art of office removals. They know every little trick of the trade and they would not hesitate for even a second to employ all their skills and experience in the task of providing you the ultimate office removal experience. What is more, we have made sure that all our employees work with state of the art lifting and safety equipment. We take no chances with the security of your office furniture, sensitive and most likely expensive equipment, archives etc. Our staff will load your items on one of our modern vehicles and they drive them to the new location of your office, choosing the safest and fastest route possible. When on the spot, they will unload and reassemble everything, so that you will not have to worry about anything and you can continue with your work, as if you have never relocated your office. Call us today if you have any question, or you want to book your removal. Our polite and knowledgeable staff will guide you through every step of the planning, preparation and carrying out of your project, leading ultimately to your compete satisfaction with our service.